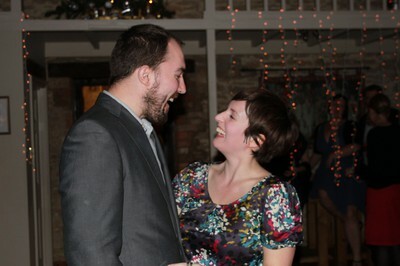 Congratulations to one of my oldest bestest friends, Emma who has accepted the proposal (after much waiting!!) from James! I just can not wait for the big day. Weddings are so lovely aren't they! And Emma will be the most beautiful bride in the world! Now if I was one of those people who analysed photos of people I would say that this photo shows just how well matched these two are! Facing each other, smiling, looking extremely happy and relaxed together! Bodes well for the future me thinks! Keep on smiling and laughing you two!